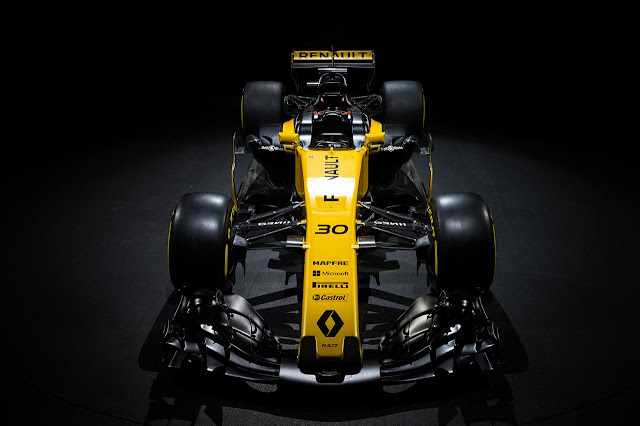 Renault Sport Formula One Team previews the first race weekend of the 2017 Formula 1 season, the Rolex Australian Grand Prix. Drivers Jolyon Palmer and Nico Hülkenberg share their thoughts on the challenges of Albert Park, while our management and technical staff give the latest on the team and on the R.S.17-R.E.17 package. Renault Sport Formula One Team heads to the start of the 2017 FIA Formula One World Championship season in a very different state to twelve months ago. Last year we arrived in Melbourne at the end of a furious few months where the team had been created from a fusion of the previous F1 team with our existing power unit team to create a full manufacturer entry as part of a new structure, Renault Sport Racing. Our lead times had been exceptionally short and no matter how hard we worked, our R.S.16 was always a compromise car. In contrast, today’s R.S.17 is a car built with no compromises with development since its inception across our two facilities, Enstone and Viry. At the heart of the car is the R.E.17, an all-new power unit, and the car has been built to be a significant step forward. Pre-season testing in Barcelona was productive but not perfect. Our car truly looks beautiful on track but it was shy on occasion to take to the circuit. We have addressed the ERS issue which caused us reliability concerns and do not expect to see a repeat of it in Australia. There is a balance between pushing the envelope of performance and maintaining the requisite reliability and the trick is to stretch the margins without overstepping them. We know we have a strong base with the R.S.17 which puts us in good stead for the relentless development race we expect to see. We are confident in the abilities of the team to improve and develop the car over the year. We have two talented and hungry drivers. Nico has already shown us to be the driver we need to help lead us to where we want to be. Jolyon we know well and he has adapted immediately to this new generation car. Crucially, both drivers are giving us similar feedback regarding the R.S.17 so we have a clear direction for progress. The 2017 regulations have brought Formula 1 some very different cars and they arrive to changes behind the scenes of Formula 1 too. Every team is trying their hardest but we have fresh impetus and we are determined to do everything required so we achieve our goals in 2017. The first race of the season always throws-up its own challenges. Australia is a fantastic country and Melbourne a fabulous city. Renault is growing strongly in Australia and has ambitious targets for the future. Our own target for Albert Park is the same target we will have for every race this year: points. We want to score points throughout the year so when the final tally comes we have finished fifth in the Constructors’ Championship. It will be a long battle, but we know what we need to do.